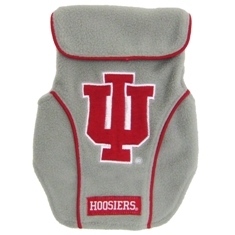 100% Soft fleece contrast team color material to keep your pet warm while showing off your team colors. Embroidered team logo under a fashion collar and leash hole detail for easy collar attachment. This vest can also reverse to solid color.